"Ĉiuj uzas kilometrojn en nia lando." Translation:Everyone uses kilometers in our country. Does your rph depend on how many fathoms of mercury the atmospheric pressure is? 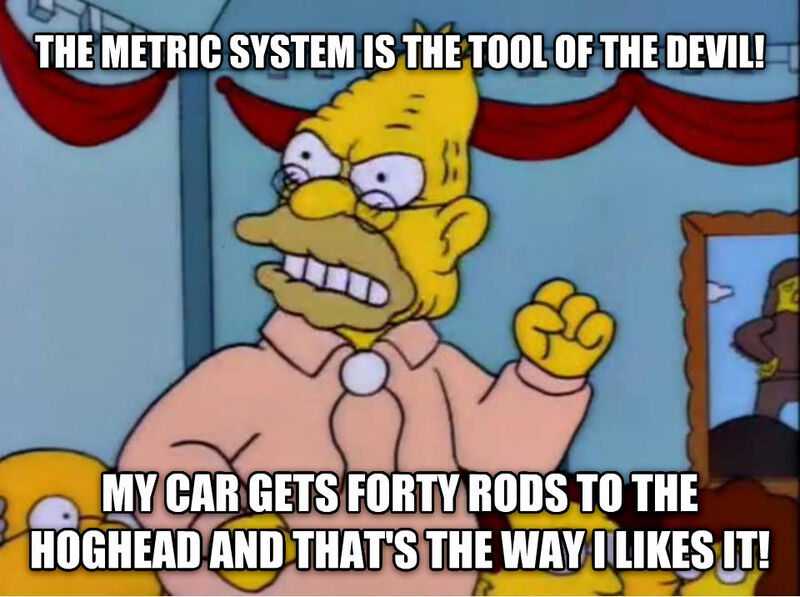 The USA has officially use the metric system since 1866. In fact, they were one of the seventeen countries to sign the "Treaty of the Meter" back in 1875. What they aren't doing is mandating using only metric units. Mi ŝatas "Ridanta Laŭte" pli bona. Tio estas kio mi kaj mia frato uzas. Do, kio estas la malsameco kun "Cxiuj" kaj "Cxiu"? I suppose that "ĉiuj" means "all", whereas "ĉiu" means "every/each"
Yeah, that could be it. I'm starting to think that they can almost be used interchangeably without much notice. That could be dangerous, kilometers are a non-renewable resource. Tre landoj oficiale ne uzas la metran sistemon: Liberio, Mjanmao e Usono. Usono oficiale estis uzita la metran sistemon ekde 1866. Fakte, Usono estis unu el deksep landoj subskribi la "Treaty of the Metre" en 1875. Sed gxi ne uzas la metran sistemon ekskluzive.